1907 – oh what a night!! Well there’s no two ways about it, I just love food. It brings me such joy to be presented with a beautiful dish. A carefully crafted recipe, lovingly prepared and elegantly plated up, an edible flower here, a restrained sprinkle of microherbs there – it is a thing of beauty. Now GG and I eat out a fair bit…… you might have noticed as such if you occasionally read this blog. I find it so special to spend a good few hours with my special someone blissfully chatting while enjoying some delicious food and fine wines. It’s indulgent, it’s fantastic and it keeps me smiling. Last Thursday night GG and I were invited to dine at 1907 Restaurant on Queen Street in town and it was an epic evening. We’d been to 1907 many years before for a birthday celebration and while I had fond memories of the food on that visit I felt the service had let down the experience. So I was keen to see what the night had in store. 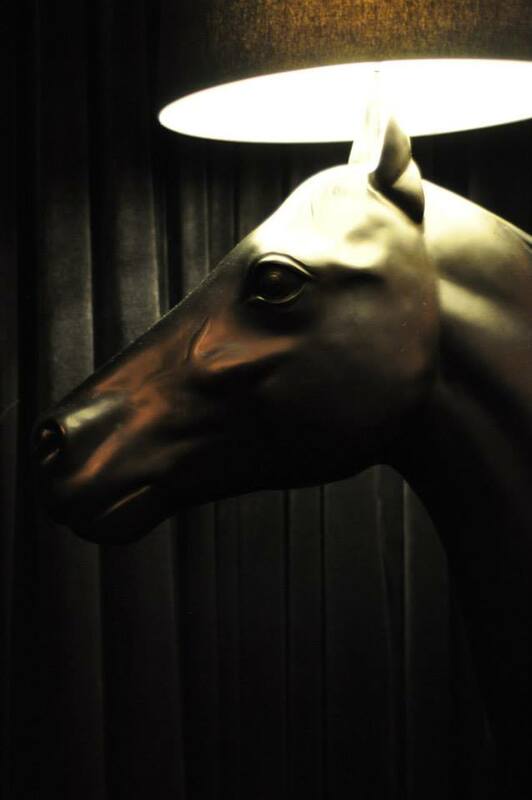 We arrived and gave a nod to the mighty steed at the door. Neigh. The full sized horse is quite the feature. We were shown to a plush booth and on being seated our friendly waiter John made our introductions. I really liked that personal touch, was very welcoming. 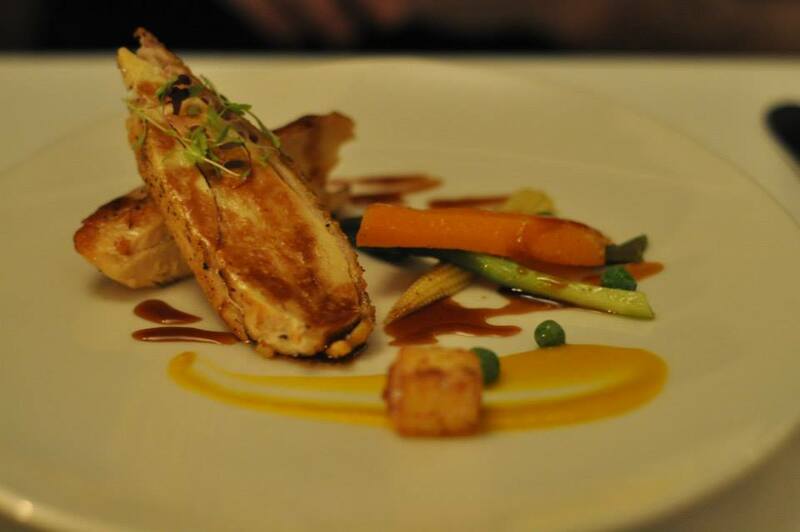 We were down to try their degustation menu… their prestige menu as we would soon find out. We opted to enjoy matched wines with the courses, really the best way to go. 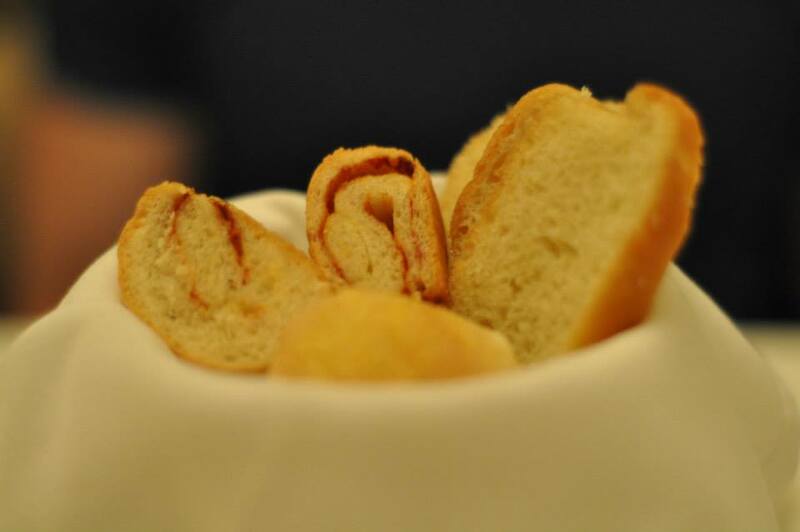 A mixed bread basket was presented, with a range of beautiful baked options available. I’d say my favourite was the wedge of tomato and herb scroll, though it was all very nice. 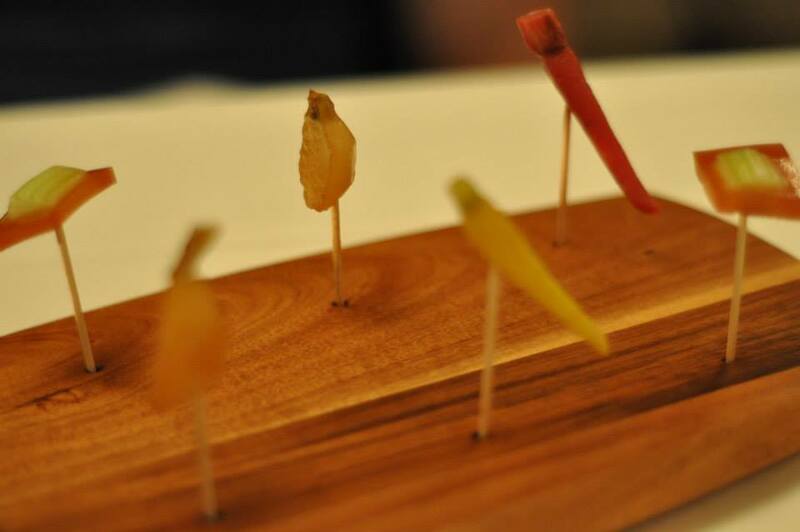 The Amuse Bouche was indeed amusing. Time to tick the vegies box with this line up – a preciously tiny fennel and ginger carrot, a perfectly turned vanilla turnip and a square of tomato, vodka and pepper jelly which suspended a piece of celery as if by magic. It looked impressive and each little morsel was a flavour explosion. 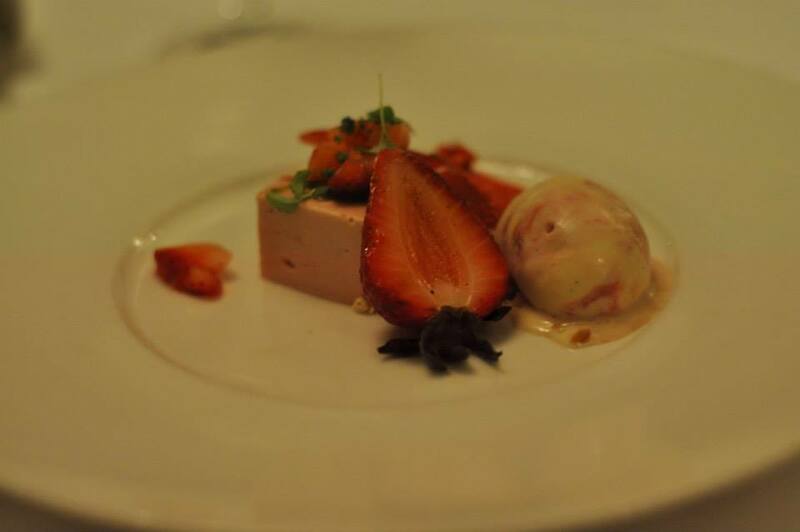 Teamed with a very pleasant bubbly, NV Vollereux – Pierry-Epernay, France, it was a solid introduction and with the taste buds tantalised, we were ready for the first official course. It was when the first drink was poured that we met Harold, who is 1907’s venue manager. What a charmer! And so incredibly knowledgeable about the wine selections. 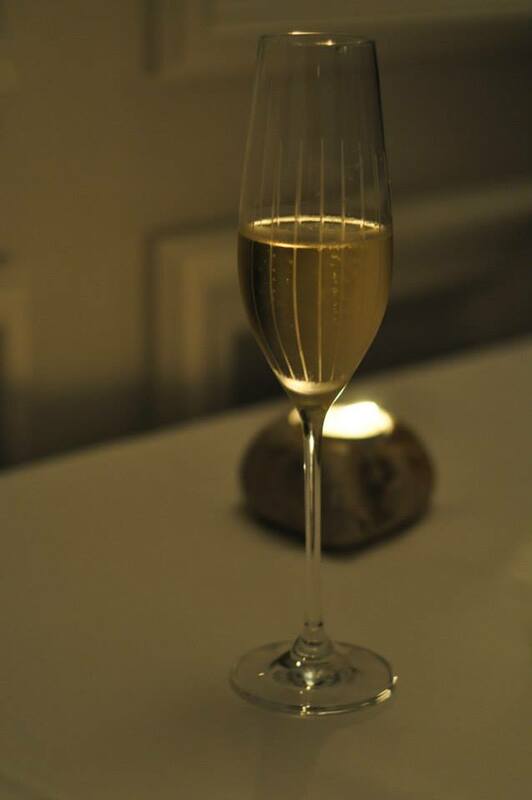 Each drink had been carefully chosen and considered and as we would later fully appreciate, matched to perfection! 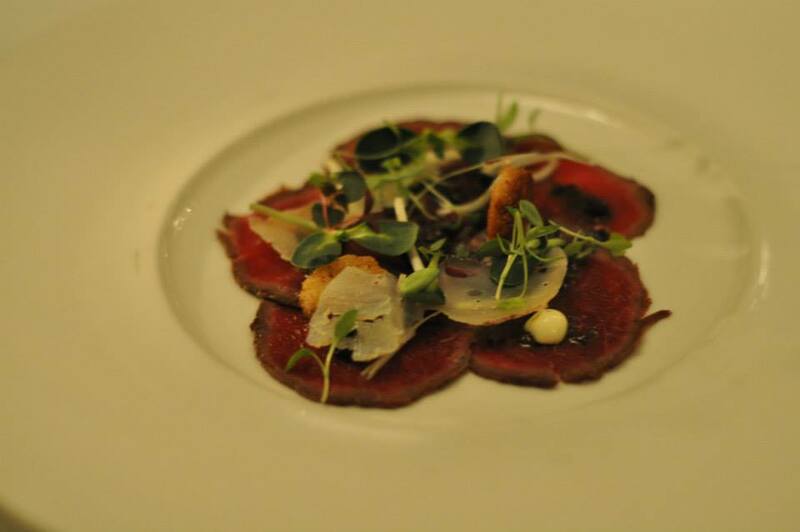 The first course, post amuse bouching, was a Peppered Margaret River venison carpaccio, tonka bean mayo, pickled walnuts, fromajo vino rosso (2011 Palacio de Fefinanes Albarino – Rias Baixas, Spain). While Harold would explain the wines for us, John provided a thorough outline of each dish, including any specific cooking techniques used in its creation. 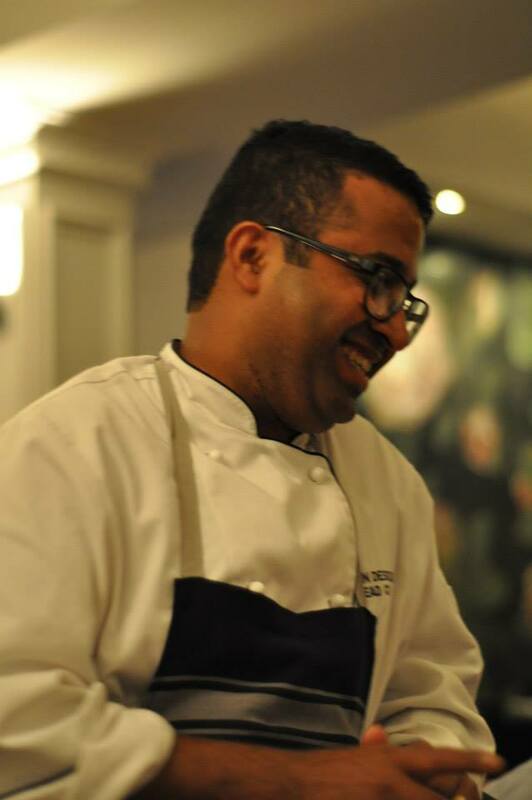 Presentation is clearly very important to Head Chef Alan Desouza. Each dish was a thing of beauty. Wafer thin venison had been artfully plated along with a splash of white from the tonka bean mayo, some dark mystery with the pickled walnuts and finally some finely shaved shards of cheese. Cheese that had been soaked in red wine! Wow! It was almost too pretty to eat….. almost. The flavours were divine. There was so much going on, both on the flavour front and the textural contrast between the elements. The creamy mayo, the crunch from the nuts, the dreamy cheese and that lovely peppered venison just melted in your mouth. A resounding yum. We had both mused that it was different for a degustation to start with a red meat, given that seafood tended to reign supreme as course one, but good to mix things up and the venison was lovely and light. 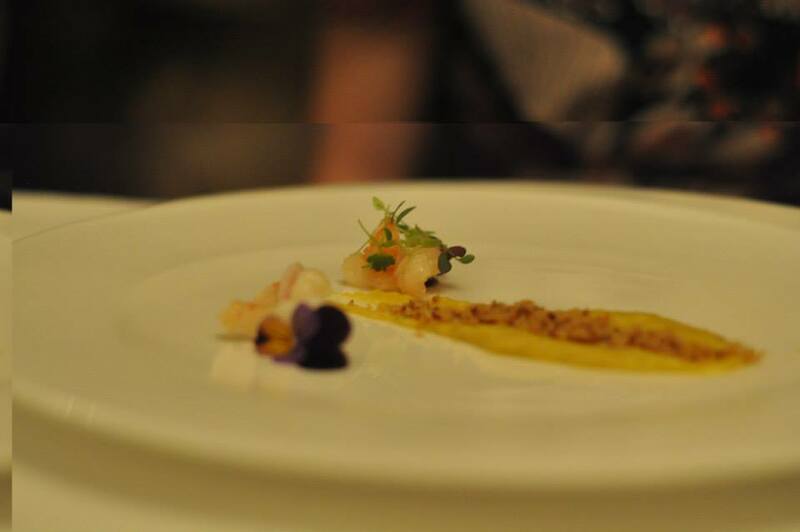 Plus something fishy wasn’t far away as course two was Creamy corn puree, Jamon Serrano crumbs, yabbies (2012 Marq Fiano – Margaret River, Australia). 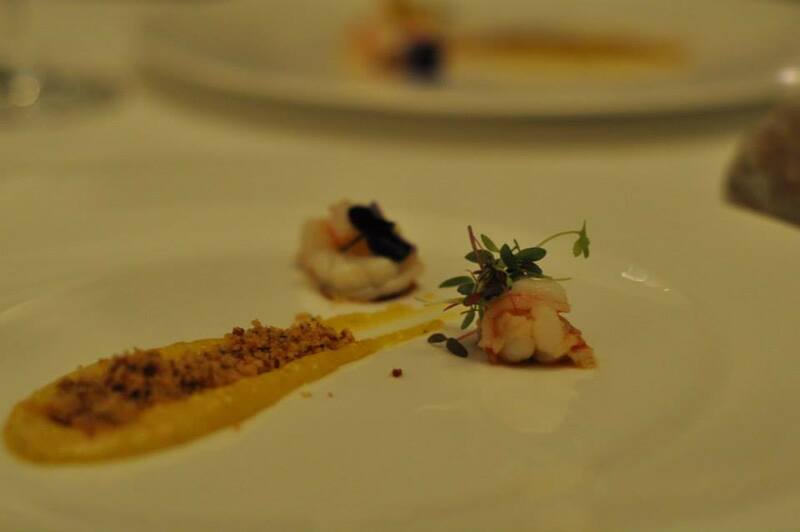 Such an elegant looking dish, with its dramatic yellow smear, dusting of hammy crumbs and yabbies topped with flowers. Edible flowers really up the pretty factor of a dish and it certainly had here. I really loved this dish. The sweetness from both the yabby and the corn puree married up perfectly with the slight saltiness from the Jamon Serrano crumbs. Magic crumbs that looked just like bread crumbs but packed so much more punch. An interesting and delicious combination of flavours. 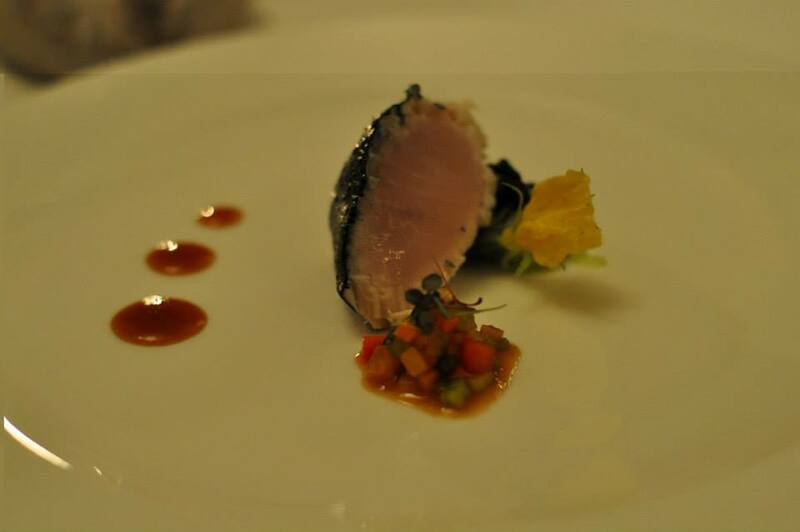 Continuing the salute to seafood was course three, Sous-vide sword fish, squid ink, cucumber spaghetti, tomato essence, Avruga caviar (2011 Denis Pommier Petit Chablis – Burgundy, France). John had outlined how that they described the tomato inclusion as ‘essence’ because of the intense levels of flavour it contained. More than a sauce or even a jus. It was another beautiful dish and both GG and I were incredibly impressed with how wonderfully soft the sword fish was, having been sous-vided. Just lovely. Melt in your mouth lovely. It also looked dramatic with the fish painted with squid ink. 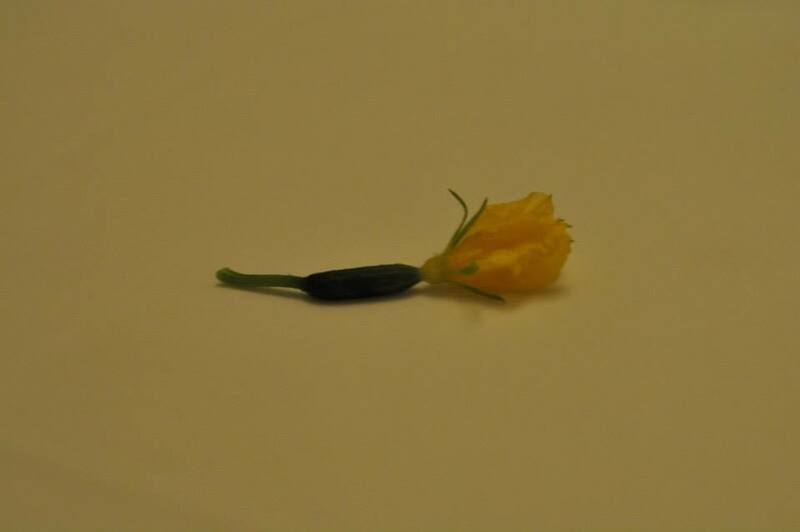 A bold contrast, along with the fish, the pale green from the cucumber spaghetti and also the splash of colour from the yellow flower on the teeny tiny baby cucumber. Cute!! And John had been right on the intensity of the tomato essence. Those three spots on the plates were incredibly punchy. I had such an appreciation for the kitchen crew and how perfectly all the elements on the plates had been chosen. Well bon soir Entremet. As I would learn an entremet translates to “between courses” but what an exciting in-betweener it was! A small glass was presented, topped with a plate and mysteriously filled with smoke. 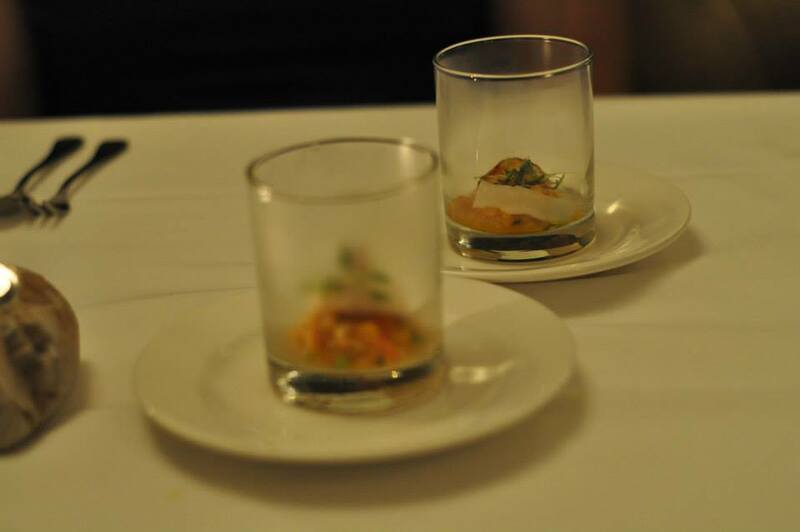 It contained a perfectly plump scallop and fresh, diced peach. It always amazes me how such small morsels can be so incredibly flavoursome. Up next was the first of the ‘mains’. I love a menu that has two mains! 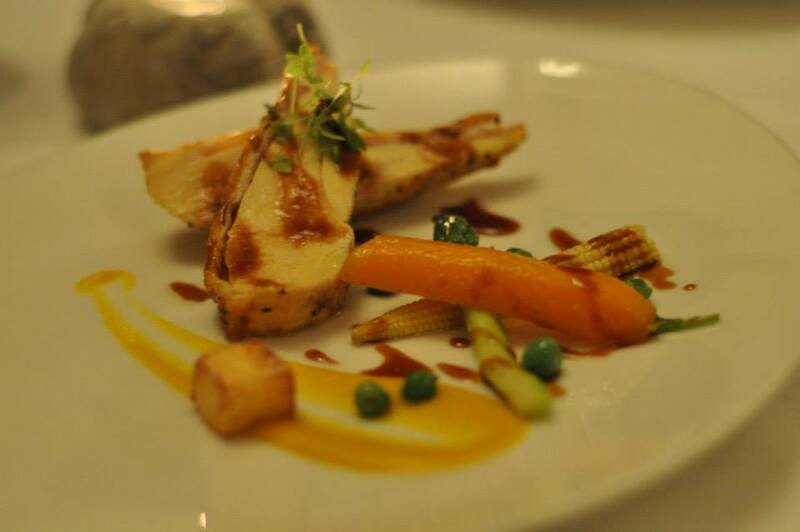 So first up it was time for some bird, Corn fed chicken breast with pancetta, polenta, carrot and ginger sauce (2011 Moric Balufrankisch – Burgenland, Austria). 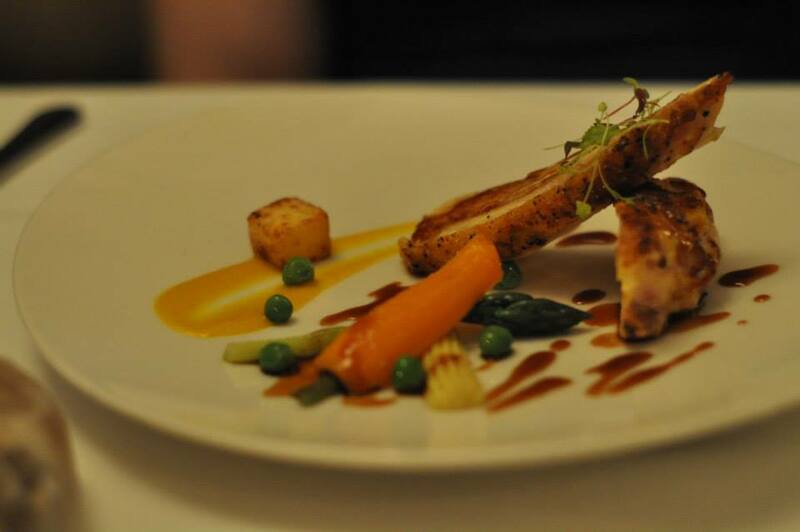 They had literally layered thin slices of pancetta under the skin of the chicken breast before it had been cooked. It was an inspired decision and added an extra element of magic to what may have merely appeared to be a simple chook and veg dish. Nothing simple about it! Plenty of crunch to the vegies too. Another pleasing course and quite liked the slight spice from the ginger sauce. I do enjoy ginger as a flavour. On to our second main and this time the focus was on lamb. 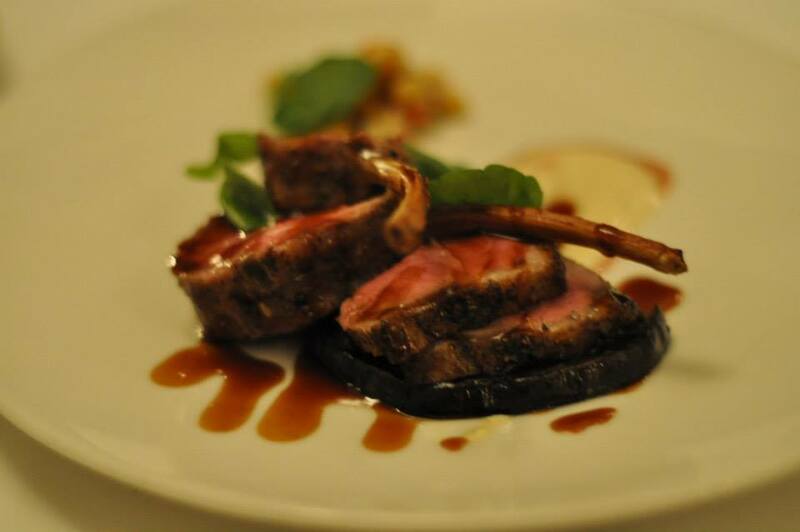 Lovely, lovely lamb. 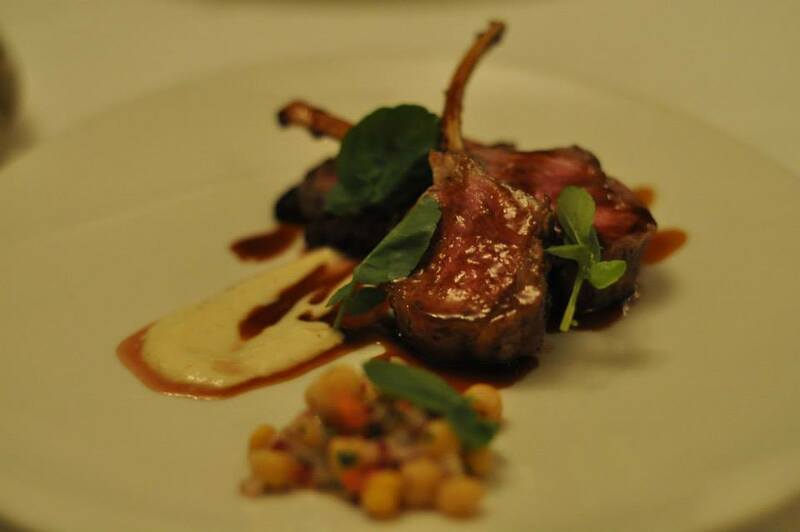 Roasted organic lamb cutlet and eye of shoulder, eggplant and chickpea salad, yoghurt dressing (2010 Henschke Keyneton Euphonium – Barossa Valley, South Australia). Those perfectly pink cutlets looked delectable, tantalising, delicious! Along with the pretty splash of colour from the eggplant and chickpea salad and the smear of spiced yoghurt it was all very appetising. I also liked that two cuts of lamb were included. Done two ways, I’m a massive fan. There can be such a pleasing textural contrast in trying different cuts of meat and when you have them side by side on the plate you are spoilt with the opportunity to do so. The meat just melted and was so well paired with the creamy yoghurt and a few chickpeas. Hard to say whether it was the eye of shoulder or the cutlets that reigned supreme. I thoroughly enjoyed both and I know my fellow meatlover was also very impressed. Loving attention had been paid in the kitchen to ensure this meat was shown off to its full potential. 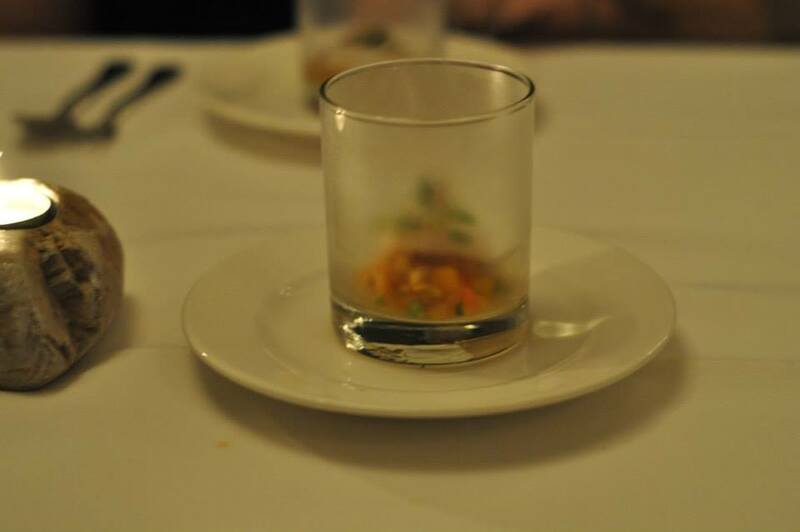 It was an extensive menu and I’ll admit I was pleased when the palate cleanser arrived and I suspected we were on the home stretch. Now my pictures here don’t fully illustrate the show that was the arrival of the palate cleanser and it was a two person job. While Harold spritzed a heady rose scent into the air above our table, John placed a glass teapot on our table that cast a mysterious mist across the table. 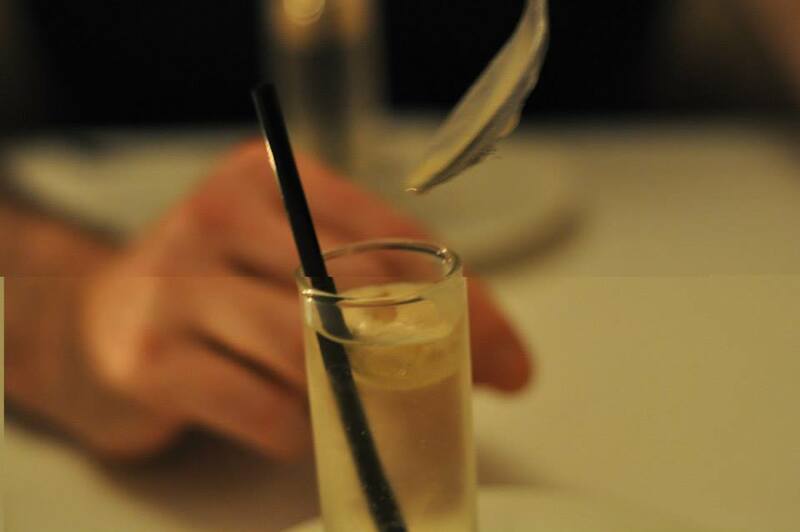 A splash of dry ice and some Earl Grey tea made for a chilly and refreshing beverage. 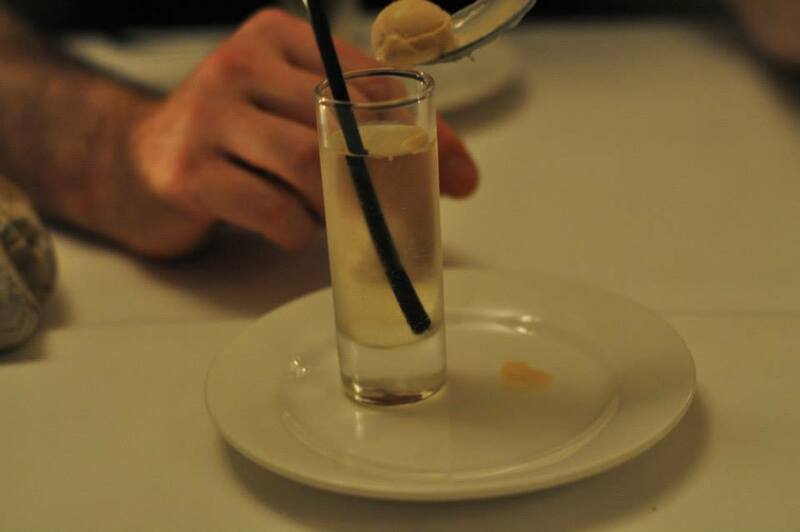 It was served in a tall shot glass with a dainty scoop of ice-cream on the side. So get stirring, it was spider time! It was very different from the usual sorbet caper but my palate was still well cleansed after the experience and the taste was liquid yum. I could have almost declined cheese….. almost. But then it appeared. 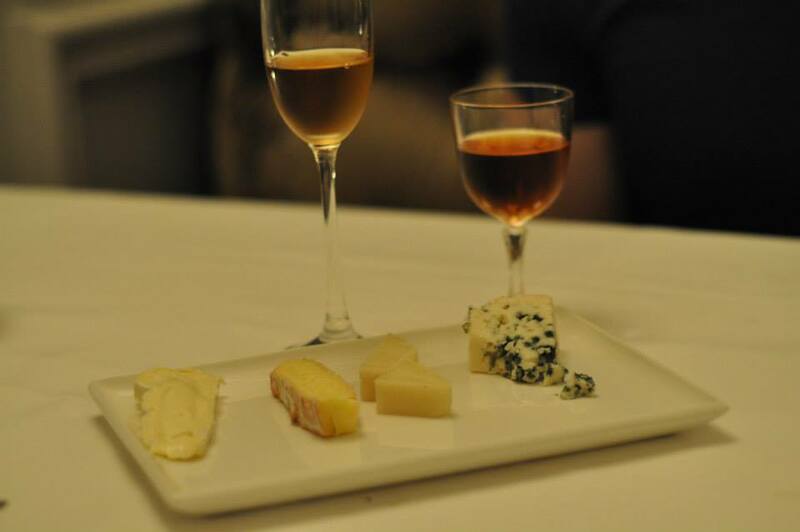 “Chariot de Fromage” with accompanied condiments (2005 St Stephan’s Crown Tokaji Aszu ‘3 Puttonyos’ – Budafok, Hungary). 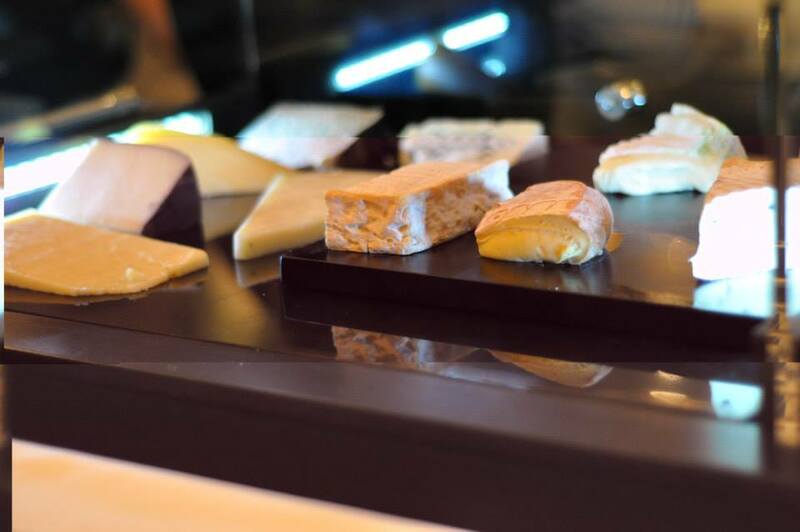 By far and away the most impressive cheese trolley I had ever seen! Sleek with steel and with strips of lights it was a modern wonder and I was that impressed before I’d even eaten any of the cheese. Harold asked how many we would like to try and we opted to stick to the standard order which was four different types and we left it to the expert as to which ones we would try. 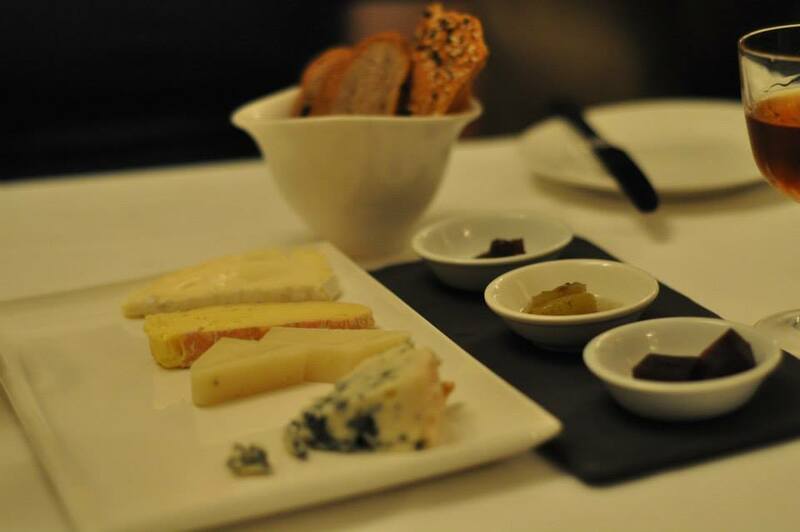 From the salty blue Roquefort, the dreamy creamy brie and the more crumbly cheddar it was all kinds of good and all the more enjoyable with the pickled grapes and fig paste on the side. Wow…… it was a resounding wow from us both. 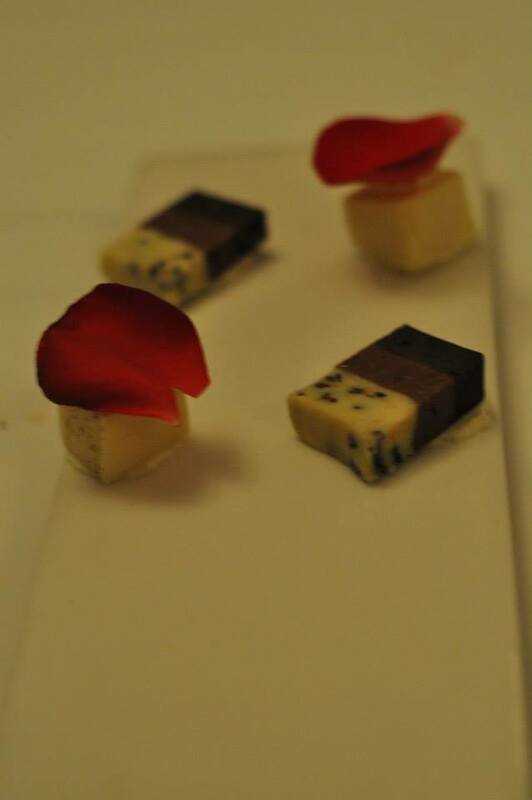 We declined the offer of a tea or coffee but were still presented with a few sneaky petite fours to round out the meal. Tehehe, I wasn’t sure we needed any more ‘rounding’ but they were very tasty and came complete with red rose petals. The wines had all been amazing, I’m not sure if I was overly gushy about the food but I certainly meant to be! It was one of the most impressive meals I have enjoyed with GG this year. I cannot say enough good things about the amazing team that work at 1907. John, Harold and Chef Alan (who I was lucky enough to say hello to) were all such a delight. My thanks to them all for the invitation, we were so very spoilt. 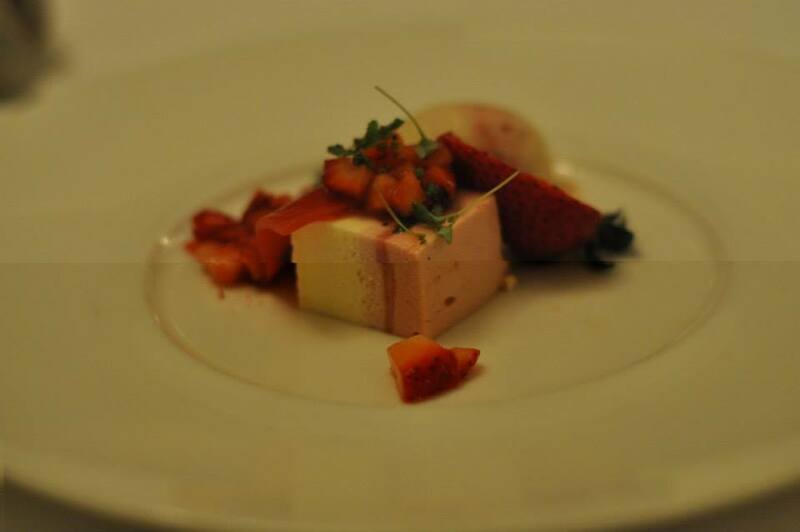 Dining at 1907 is an experience – a wonderful, delicious, indulgently lingering experience. 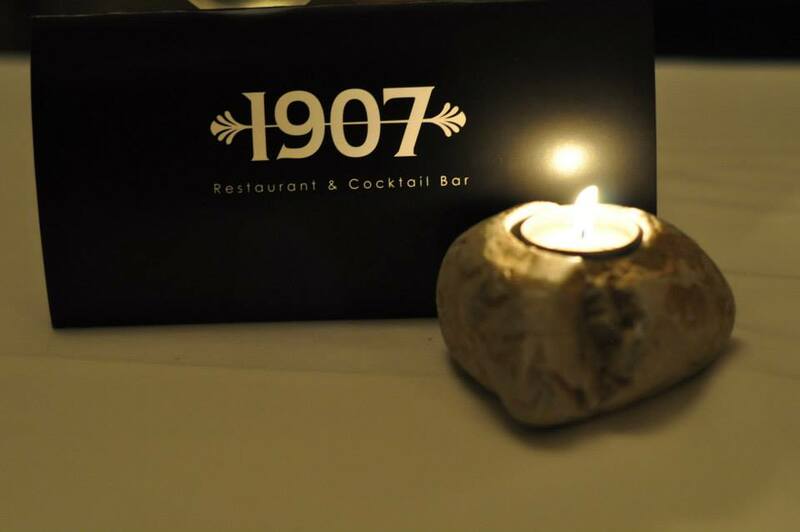 Fellow foodies if you are looking for somewhere to go for a birthday, an anniversary, even just a Thursday then I would very much recommend 1907.